As new developments evolve to fill the digital marketplace, a distinct relative shift in how businesses and technology consumers alike utilize communication, collaboration and computation tech is molding a picture of a more connected electronic universe. We are becoming more precise in our daily processes, thanks in no small way to the power of mobile and smart device computing. Computing technology available off the shelf is increasingly more powerful and as such more sustainable, than ever. In today’s business computer environs, more and more employees are going BYOD Cloud (bring your own device) – bringing in their own Wi-Fi devices into the business workplace network. This presents a unique challenge to tech support admins. 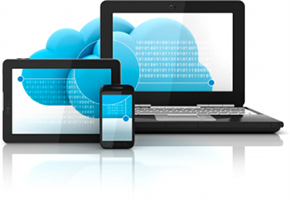 BYOD cloud is a policy supported by tech whereby workers utilize their privately owned smartphones and tablets to the workplace and use their devices to access privileged business resources such as email, file servers and databases as well as their own personal applications and info. BYOD cloud is making huge gains into the corporate world, with about 90% of employees currently using their own technology at work. In many cases, employers simply can’t stop the trend. Some pundits and vendors (like Cloud9) hold and cite studies that BYOD can assist staff to be more productive. Others maintain that BYOD cloud increases employee morale and confidence by using their own devices and makes the business appear flexible and a smart forward-thinking employer. 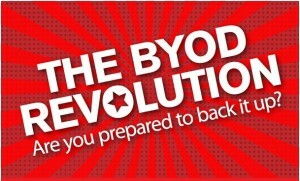 Left poorly-managed, BYOD has resulted in data breaches. For example, if an employee uses its iPhone to access the business network and then loses that device, the confidential data stored on the phone could be retrieved by strangers. Employees utilizing BYOD cloud should always protect their devices with a suitable password, and employers should have stipulations for remotely wiping a device. BYOD phones and tablets should have app(s) loaded that provide for a remote wipe, or should be cloud enabled to prevent the info loss or breach.